What is the current status of the GRE in business school admissions, and how useful is it for MBA program applicants? Should prospective grad school students consider applying for an MBA program as well, if an MBA would align with their professional goals? What is the structure of both exams? How do they compare to each other? All major MBA/post-graduate management programs accept the GRE for admissions. All major MBA programs state that neither the GMAT nor the GRE is viewed more favorably for admissions. Many admissions consultants remain somewhat skeptical and advise committed business school applicants to consider preparing for the GMAT first. If an MBA applicant has a marked weakness in quantitative reasoning, we advise considering the GRE as an alternative, since its quant section is less challenging than the analogous GMAT section. If a potential graduate student is weighing different programs, both in management and elsewhere, the GRE makes more sense. With limited time and the expense of preparing for and taking both tests, doing both the GRE and the GMAT could be overkill. First, it is impossible to derive strong conclusions from a limited data set, but it merits noting that among the 2016 numbers, there appears to be an emerging mean of 15% admissions with only GRE scores. Does this number suggest a quota or ceiling on applicants accepted with GRE scores? The likely answer is no. Some of these data more likely reflect the percent of applicants submitting GRE versus GMAT scores rather than programs viewing one test more favorably than the other. In addition, this emerging stasis in percent admitted with the GRE could be indicative of the manner in which business schools normalize differences between GRE and GMAT scores. However, it is clear that so far, the GRE has not supplanted the GMAT for business school and business school applicants using only the GRE may constitute a minority for the foreseeable future. 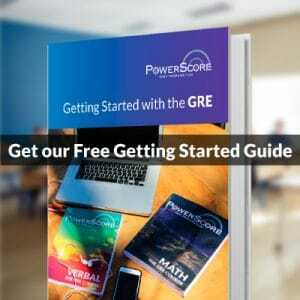 We offer a complete breakdown of the two tests and a comparison between question types on our Free GRE Help Area (along with much more useful information!). While the GRE is making inroads into business school, if all else is equal the GMAT should remain your top choice. Consider exploring the GMAT first for business school admissions, but don’t neglect or overlook the GRE. How might you proceed? If you have a marked aptitude for one test over the other, you should play to your strengths, even if that means going for the GRE alone for business school admissions. A strong performance on either test will outweigh the benefits either test might confer, if marred by a weaker performance. 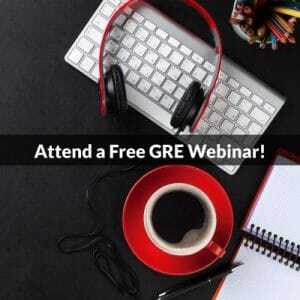 If you’re undecided about business school or graduate school, the GRE presents an attractive and compelling alternative to the GMAT or to preparing for both. If you have questions about business school admissions, the GRE, or the GMAT, we have expert instructors ready to respond to all your questions on our Free GRE and Grad School Admissions Forums. Registration and participation is completely free!